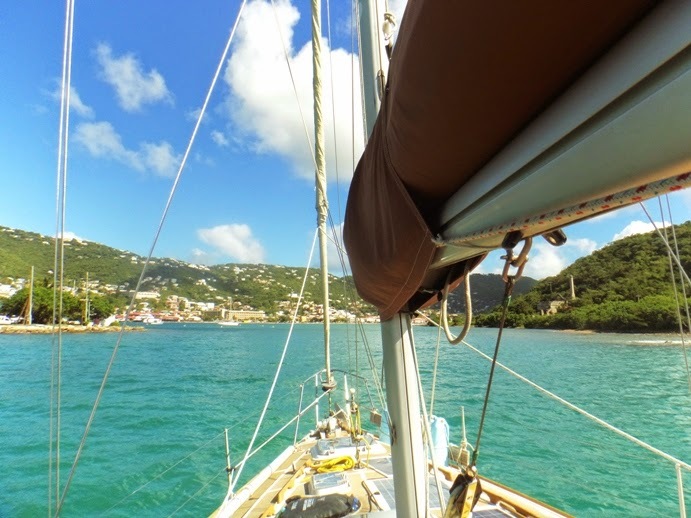 Galene goes West: The ‘Sirens’ of Charlotte Amalie! The ‘Sirens’ of Charlotte Amalie! 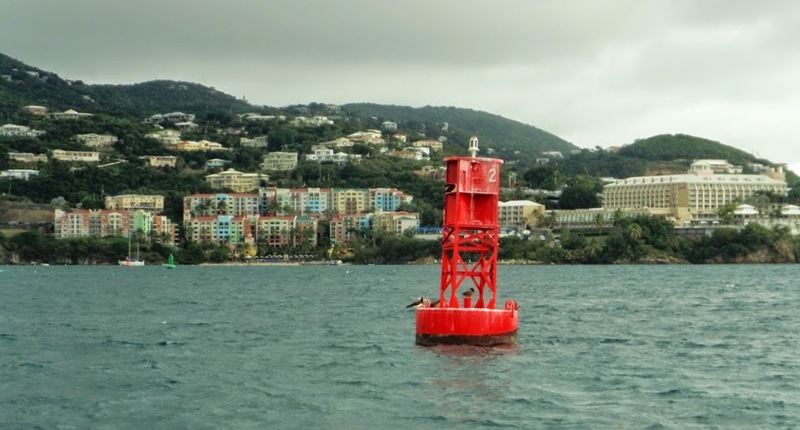 For us Charlotte Amalie is a place we seem to have difficulty getting away from. As usual we always seem to arrive in the middle of a rainstorm! We anchor up in a stiff breeze and dive below just as the heavens opened! If we had a few more minutes warning we would have rigged the rain catchers. As it was it managed to rain heavily and blows a gale all afternoon. Not the best day for doing the laundry! Almost enough water for a bath! As always there is usually someone we know in the anchorage, ‘Tranquillity’ is here from Bonaire, ‘Remedy’ are also here, and it appears they didn’t move all summer! The following day ‘Cheetah II’ comes into the anchorage, friends old and new. If we network enough we could meet everyone in the anchorage! That is not the plan, we are going to be disciplined, do the few jobs that we need to do and move on to St John, then the BVI’s. Hopefully by Xmas. With strong winds forecast for the coming weekend we get our domestic chores done, fill the propane tank and re-stitch our sprayhood as the stitching is coming undone in places. As we have decided to stay for the next few days until the wind dies down we order our new stern gland seal. As it is coming from Florida it should be here on the Monday before Xmas. 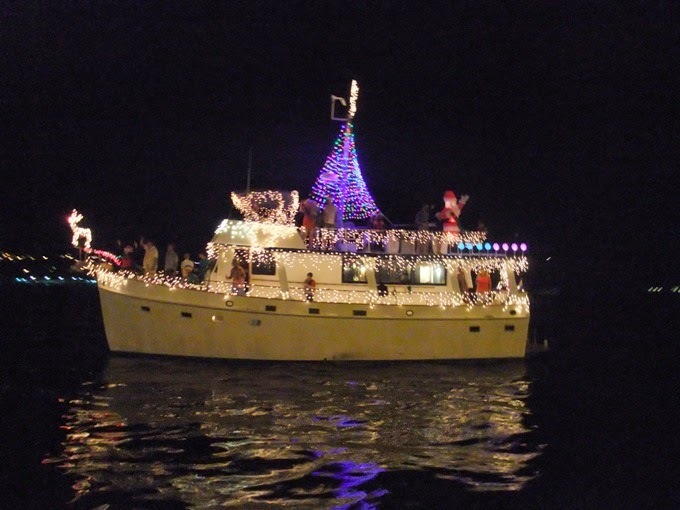 We Party on the Friday night as we watch the lighted parade of boats, and enjoy the Xmas festivities with the local pan bands and food stalls. 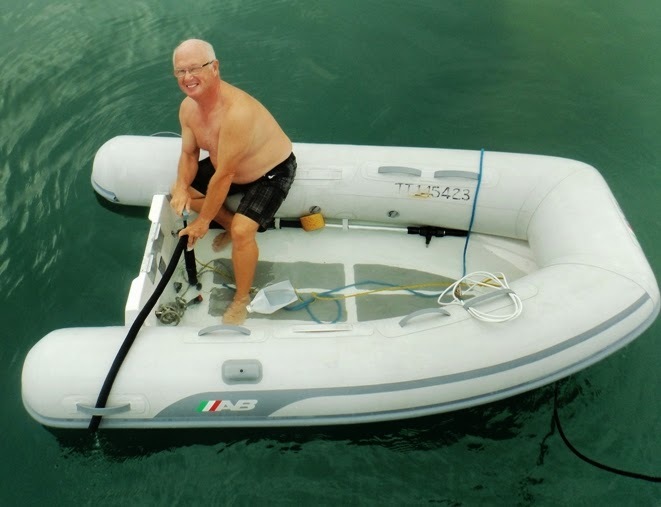 We decamp to Lindbergh bay for the weekend as we can swim there and it is a bit less hectic than all the cruise ship activity in the main harbour. We will be back on Monday and collect our package; the tracking says it is scheduled for delivery on Monday, great! The short cut to Lindburgh bay via the 'cut'. Yes it really is only 30m wide and 3m deep, reefs on both sides and used by the fast ferries! Aah, isn’t the US postal service wonderful, it seems our package managed to miss the delivery round on Monday so should be delivered Tuesday. We sit and wait, admiring the world going by, and some of our neighbours not going by! Yes they really do anchor that close to you. I don’t think we will be inviting them for drinks though! We should not complain as there is always something to see, We were lucky to spot some dolphins in the anchorage as we were going ashore, closer inspection revealed there was at least one new born baby dolphin with the mother, it is a real privilege to see wildlife close up and in such a busy bay. Yes they really were that close! Tuesday, Package day! No package, tracking says it has been delivered, the marina can find no trace of it, the Post office know it is ‘on Island’, it could be at another marina or maybe back at the local sorting office, perhaps it will be delivered Wednesday. Wednesday is Xmas eve! I have a bad feeling about this, ‘Island time’ and holidays are not a good combination for getting things to happen. Looks like we are here for Xmas, you see this is somewhere you really cannot get away from! We invite Charlee from ‘My Way’ for Xmas lunch and guess what the bloody propane runs out mid-way through cooking! So much for the ‘fill’ in Culebra. The good news is that Boxing Day is not a holiday here so we can get the cylinder filled immediately. Another bit of good news is that our package has finally arrived. We cannot blame the Postal service it appears that one line of the address was left off the address label! So we are now good to go. Oh yes I forgot to mention the strong winds and big seas from the North east forecast for the weekend, the anchorage is filling up as yachts arrive from the less sheltered coves. You see what I mean when I say you just cannot get away! The weather looks unsettled until the New Year so we might as well stop for the fireworks on New Year’s Eve. We finally get away on Wednesday 7th January! 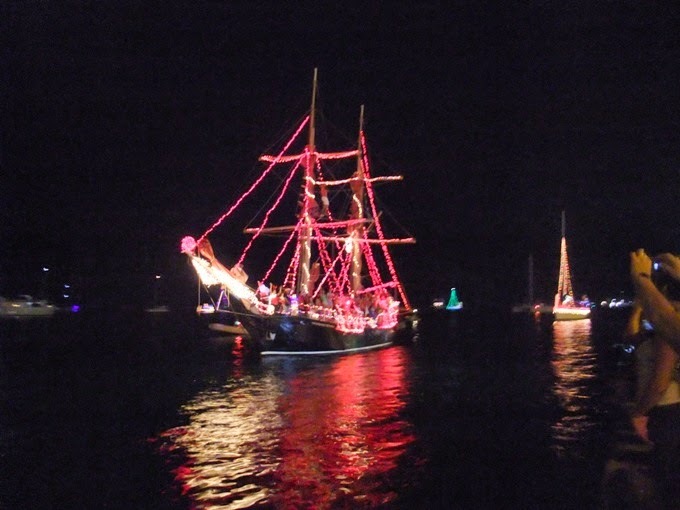 Having arrived in Brewers Bay St Thomas on the 13th December 3 & ½ weeks ago! 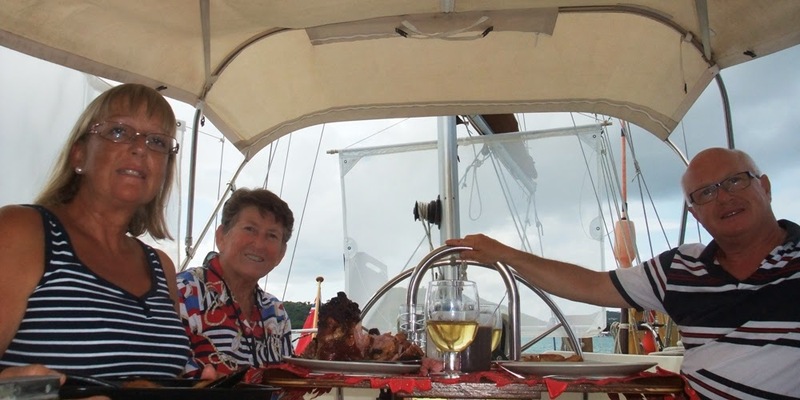 Motor sailing into a steady chop we make our way NE against the wind and tide towards ‘Current cut’, we plan to hit the cut at slack water and have a favourable tide in Pillsbury sound to sail to Francis bay on St Thomas. The plan works perfectly, we catch a fair tide through the ‘cut’ and sail up Pillsbury sound, only having to motor into the bay where we pick up one of the National Park Moorings. 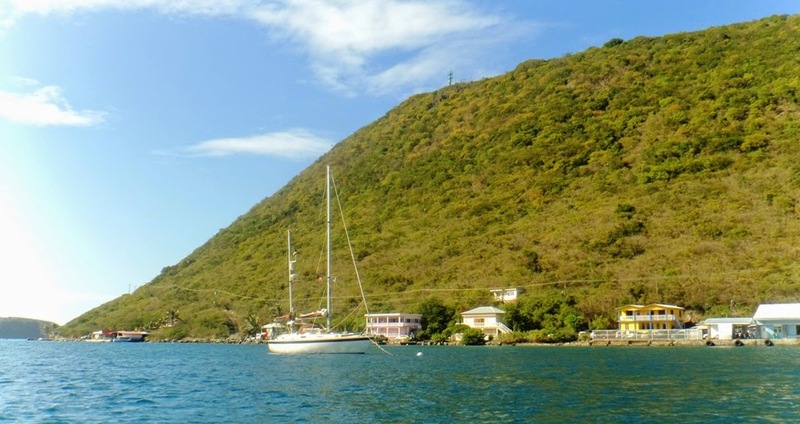 The charge is $15 a night, we only plan to stay one night then off to the BVI’s where we will check into Sopers Hole on the western end of Tortola. 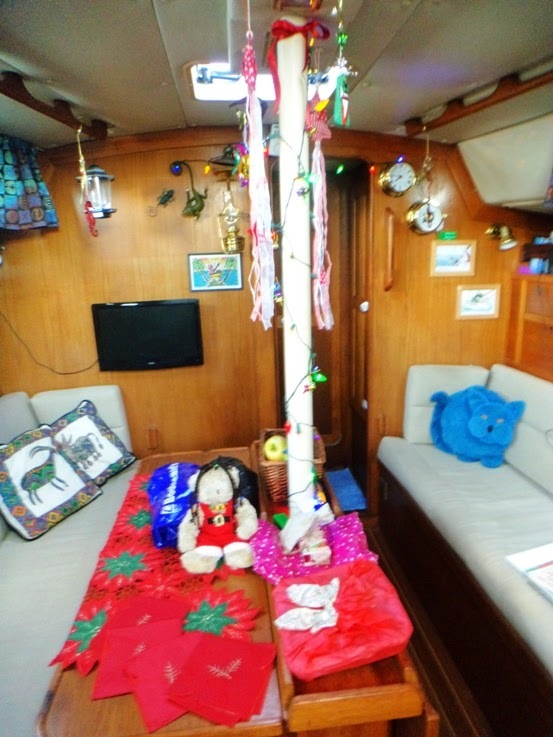 With only 15kt winds on the nose we motor sail easily across the Narrows to Tortola and pick up a mooring in the harbour while we check in, have lunch and do a little shopping. This has just to be one of the friendliest places to check in in the Caribbean. HM Customs and Immigration officers that smile, just fill in the forms, pay the fee, everyone is very polite, ‘yea I fine Mon’! We will stay until the end of January.